After a long period of conservation and restoration works, the church of St John’s, Sharow is opening its doors to the public once again. For months, the church was shrouded by inside and out as contractors and conservators worked on stained glass, wall paintings and the construction of new, modern facilities. 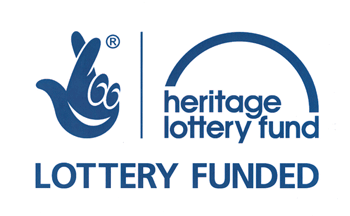 Now, nearly half a million pounds of Heritage Lottery Fund money later, thanks to support from National Lottery players, the church is throwing open its doors to the community and inviting everyone to come and celebrate the reopening. Visitors will get the opportunity to enjoy tours around the building from the church’s Heritage Officer, the chance to meet the conservators and architects to see an exhibition of still and moving imagery which shows the work underway. Refreshments, live music and stained glass workshops will take place throughout the afternoon alongside activities for families and trails throughout the building and award-winning conservation area. A celebratory service will be held at 6pm led by the Bishop of Ripon, the Rt Revd Helen-Ann Hartley. This will be followed by a reception with live music and refreshments to draw the evening to a close.